Here are some of my favorite blog, photography, and tech resources. I’ve been blogging since 2006. I’ve tried many plugins, templates, platforms, cameras, and other blogging resources. I currently use or have used everything listed below. If I have used something, stopped, and no longer recommend it, I’ll do my best to blog about it like this. This page will be updated frequently, so please check back often. Please note: Some links below are affiliate links. If you use one of these links, I’ll make a small commission to help pay the blogging bills and all that fun stuff. If you prefer to not use the affiliate links, I haven’t hidden any info, so you should be able to copy/paste and search for the resource you want. Thank you for your support! Over the years, I’ve run my blogs on BlogSpot, TypePad, and WordPress. Hands down, WordPress is my favorite. Once I migrated to WordPress, I never looked back. All my sites are now on WordPress. The below blogging resources are WordPress-oriented. Good – BlueHost: Nice starting option for beginner bloggers or those looking to keep expenses as low as possible. You even get a free domain with your account. I’ve used this since 2009. In 2016, I migrated my two main sites to the next two options. 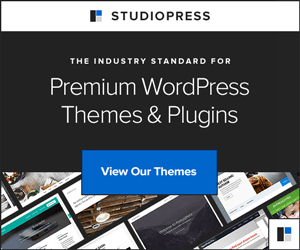 Better – SiteGround: *My top choice for new bloggers* I believe this is a stronger host option while being only a little more expensive. You also get a free domain with your account. I’ve used this since 2016. Better (and Best for some) – Synthesis: Best for those using WordPress with the Genesis framework – it’s tailored for this set-up. I’ve used this since 2016. Some of you may want to purchase your domain separate from your hosting. While you can sometimes save money doing this, in a recent cost analysis, it appears you may only save $1 or 2. Though it truly depends on which extension you’re getting (.com, .co, etc.) and what the current specials are. Not to mention some hosting companies offer free domains with hosting. For simplicity’s sake, I typically prefer to keep my domains and hosting together. NameCheap – If I’m going to purchase a domain on its own, a good friend recommended NameCheap to me. I’ve purchased a couple domains with them and have enjoyed their services. And now that they’re offering lifetime privacy assist, you can save some good money using these guys. I’ve used this since 2017. Genesis Framework by StudioPress: I’ve used this since 2014. One of my biggest mistakes in blogging is not starting my email newsletter sooner. It should be one of the first things you do when you start your blog. And if you’ve been blogging for awhile, it’s not too late. Start now! My first email newsletter was run with MailChimp. Although I’m no longer on MailChimp, they are a solid option. They have a user-friendly interface, and you can run a free account for awhile. 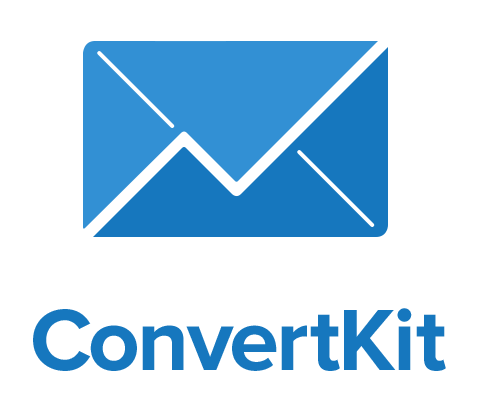 My email newsletter is currently run with ConvertKit. I’ve been super happy with them. They do not offer free accounts, however I love the way their tool works because it makes it easy to group my subscribers. This allows me to send them targeted information rather than a bunch of stuff they may not be interested in. Their email sequence functionality is great too. Nikon D7000 DSLR camera – I use this for high quality food photography photos with the Nikon f1.4 lens mentioned in the Lenses section (after this). It’s the lens that makes the magic happen. Canon 80D – I use this for making YouTube videos, and actually purchased this video creator kit which came with a pretty good external microphone. I’m planning to get a higher quality prime lens, and I may start doing more photos with it, especially as the Nikon is getting older. For great photos and videos, I also really like the Canon Rebels (Xsi and higher). If you’re using the Canon G7X, you won’t need additional lenses. For DSLRs, and for food bloggers especially, I think the 50mm f1.8 lenses (Canon and Nikon have good options) are great and really affordable, and you can get some great shots with them! If you’re on a budget, definitely start with the 50mm f1.8 and upgrade to the 50mm f1.4 in a few years. Depending on what you’re shooting, you likely won’t shoot at f1.4 (I hardly ever do), but the lens quality is superior to the f1.8. You may not notice the difference if you’re not a professional photographer, though. I use Adobe Lightroom to edit my photos. I edit every single photo before they get published on the blog. Most of the edits I make are pretty minor. Lightroom makes this easy and fast. I currently use Final Cut Pro to edit my videos. PicMonkey: Great for making collages or adding text to your photos. Not my favorite for editing photos (see Photography section for my choice). Has a free option. I recommend starting there. If you want more, you can try the Royale for about one month for free. The paid option has nice additional features, and I personally use it and love it. For less than the cost of a cup of coffee per month, you can make sweet graphics. Click here to sign up. I’ve been Royale since 2015. Photoshop: Designed for the professional. This is (to me) the Mac Daddy of photo editing software. I first used this when I was the web designer/developer as a college intern and have depended on it over the years to create quality graphics. I especially love their Save for Web feature that lets me help make my file sizes smaller (for a faster site). I’ve used this since 2003. I primarily use these for making photos for Instagram. But, I’ve made graphics for my blog on these too. Afterlight: I use this one the most. Not just filters. 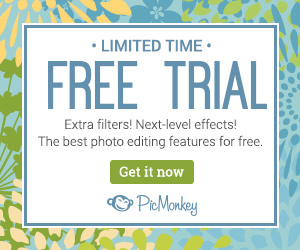 Has great tools to edit your photos (make them brighter, rotate a little or a lot, change tones, etc.). Does have filters too if you like them. Facetune: This app is useful to whitening backgrounds, which is great for flatlays and food photography especially. Picfx: Crop photos to squares and my favorite features – add bokeh (the little circles that look like sparkles on photos). WordSwag: Add cool text to your photos. Great for making quotables and text-focused graphics. Pic Stitch: Don’t love the annoying ads, but this is useful for making collages. Has lots of templates. Team Treehouse: Costs money, but I like how they feature informational videos followed by simple quizzes. Codecademy: Free, and lots of great courses. I haven’t seen videos here yet. It’s more of an interactive kind of site. I love earning the badges. Code School: Lots of great course options. This one has some free and some paid tracks. They’ve done some cool features before like Summer Camp with special pricing and offers (found out about this one in their email newsletter).